The Board of Deputies of British Jews (historically London Board of Deputies and London Committee of Deputies of British Jews), commonly referred to as the Board of Deputies, is the main representative body of the British Jewish community. Established in London in 1760, when seven Deputies were appointed by the elders of the Sephardi congregation of Spanish and Portuguese Jews to form a standing committee and pay homage to George III on his accession to the throne; shortly thereafter the Ashkenazi Jewish congregation from Central and Eastern Europe similarly appointed their own "Secret Committee for Public Affairs" to deal with any urgent political matters that might arise, and safeguard the interests of British Jews as a religious community, both in the British Isles, and in the colonies. They soon began to meet together as occasions arose, and then on a more frequent basis; by the 1810s they appear to have united as one body. The Board has since become a widely recognised forum for the views of the different sectors of the UK Jewish community. The Board is led by Marie van der Zyl, who succeeded Jonathan Arkush as President in June 2018. The chief executive of the Board is Gillian Merron, a former Labour Party politician, who was the Member of Parliament (MP) for Lincoln from 1997 to 2010. From 2009 to 2010 she was Minister of State with responsibility for Public Health at the Department of Health. She leads a team of professional staff including Director of Public Affairs Philip Rosenberg (formerly of Faiths Forum for London). The Board receives Deputies elected by affiliated individual synagogues, confederations of synagogues, and other organisations within the Jewish community such as charities and youth groups. It serves as the principal reference point for government, the media and wider society. All matters tending to impact on the life of Jews in Britain fall within the Board's remit, including an active interfaith programme. However some Jews have complained that the board speaks for Jews unaffiliated to synagogues without them being represented on the board. Some ultra-orthodox synagogues have chosen not to be affiliated. The Board of Deputies offices are co-located with the United Jewish Israel Appeal in Kentish Town. The Board is the British affiliate of the World Jewish Congress (WJC), the world-wide umbrella organisation of Jewish communities and is the UK member of the European Jewish Congress (EJC). 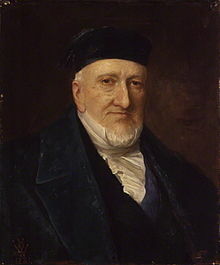 Moses Montefiore and his family members dominated the presidency of the Board of Deputies during the 19th century. Sephardic Jews were prominent early on. Walter Rothschild was a president of the Board of Deputies during the early 20th century. The Balfour Declaration was addressed to him. Greville Janner was a president of the Board of Deputies during the late 20th century. He was implicated in a high profile child sexual abuse scandal. In 2003, the Board, on its website, reproduced an extract from a US State Department report that suggested that the aid organisation Palestinian Relief and Development Fund (Interpal) was helping to fund terrorist organisations. Interpal threatened to sue for libel, whereupon the Board retracted and apologised for its comments. The Board became involved in the Oliver Finegold affair, when the Mayor of London, Ken Livingstone compared an Evening Standard Jewish reporter, Oliver Finegold, to a concentration camp guard who was just doing it for the money. Along with the Commission for Racial Equality, the Board filed an ultimately unsuccessful complaint to the Standards Board for England, calling for the Mayor to apologise to the reporter. In 2014 at the height of the Israeli military operation in Gaza, the Board received widespread criticism in the Jewish community for a joint statement issued with the Muslim Council of Britain (MCB) condemning anti-Semitism and Islamophobia. The statement with its slogan ‘to export peace rather than import conflict’ proved controversial among some on the conservative wing of the Jewish community but was supported by others on the progressive wing and by groups in inter faith circles. The principle of such a statement was approved by the Board by a majority of over 75% at a meeting of the Board on 21 September 2014. In December 2015, the new leadership of the Board distanced itself from the MCB over the latter’s alleged links to the Islamist Muslim Brotherhood. In July 2018, the Board of Deputies suspended Roslyn Pine, deputy for Finchley United Synagogue, for six years following comments she made which were described as Islamophobic and for admitting to holding anti-Arab views. After Scottish devolution in 1999, the Scottish Council of Jewish Communities was formed to give the Jewish Community of Scotland a single democratically accountable voice in dealings with the Scottish Parliament and Executive, other communities, and other statutory and official bodies. The intention when it was established was for it to stand in the same relationship to the Scottish Government as the Board of Deputies of British Jews does to the UK Government. Consequently, the Council is autonomous in matters devolved by the Scotland Act, such as justice, health and welfare, and community relations, whilst the Board of Deputies speaks for all Britain's Jews on reserved matters such as foreign affairs and equality legislation. Wikimedia Commons has media related to Board of Deputies of British Jews. ^ a b Archives, The National. "The Discovery Service". ^ Rocker, Simon (14 May 2018). "Women form majority of Board of Deputies' leadership for the first time". The Jewish Chronicle. Retrieved 14 May 2018. ^ Kahn-Harris, Keith (27 April 2012). "A weak 'revolution' at the Board of Deputies of British Jews". The Guardian. Retrieved 20 September 2018. ^ "Blair unveils Holocaust memorial plan". BBC News. 26 January 2000. Retrieved 19 September 2009. ^ Rachel Sylvester (17 July 2000). "First woman elected to lead Jewish board". The Telegraph. Retrieved 16 August 2012. ^ Dominic Casciani, Islamic charity cleared of Hamas link, BBC News, 24 September 2003. ^ Dominic Casciani, Top Jewish group 'terror' apology, BBC News, 29 December 2005. ^ Ros Taylor, "Livingstone Suspension Frozen by Judge," The Guardian 28 February 2006, accessed 9 February 2007. ^ Lawton, Alan, and Michael Macaulay. "From Birth to Death: The Life of the Standards Board for England." Public Administration Review 77.5 (2017): 720-729. ^ "Board of Deputies approves controversial Muslim Council of Britain statement". www.thejc.com. Retrieved 22 July 2016. ^ "Board distances itself from Muslim Council of Britain over Muslim Brotherhood 'links'". Retrieved 22 July 2016. ^ Welch, Ben (12 July 2018). "Board suspends deputy for six years after investigation into 'Islamophobic' views". The Jewish Chronicle. Retrieved 16 August 2018. Langham, Raphael (2010). 250 Years of Convention and Contention: A History of the Board of Deputies of British Jews 1760-2010. Vallentine Mitchell & Co Ltd. ISBN 0853039828. This page was last edited on 14 April 2019, at 13:47 (UTC).